17 December 2009. 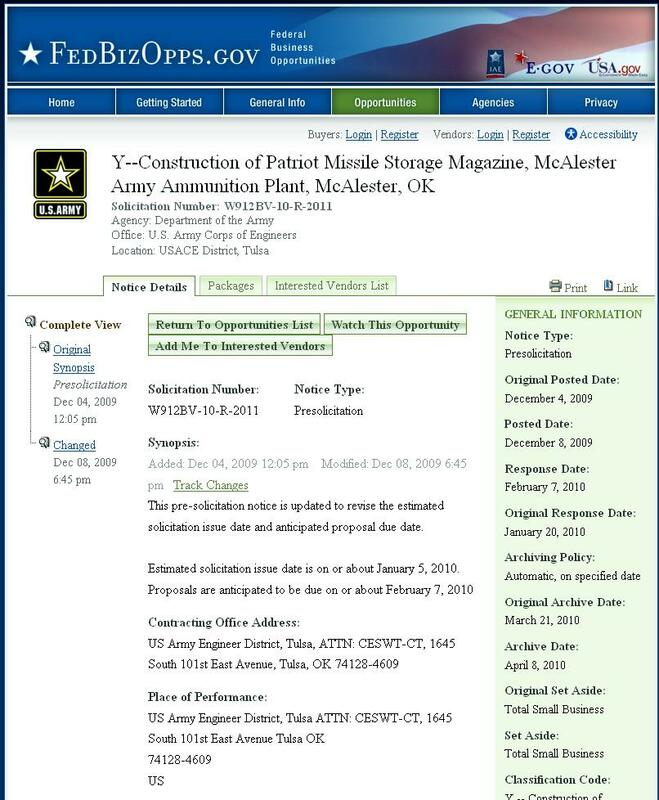 A Zipped file noted below which contained the badly redacted screening document has deleted the file. TSA learned of the failure that day and has since taken "swift action," an official said. 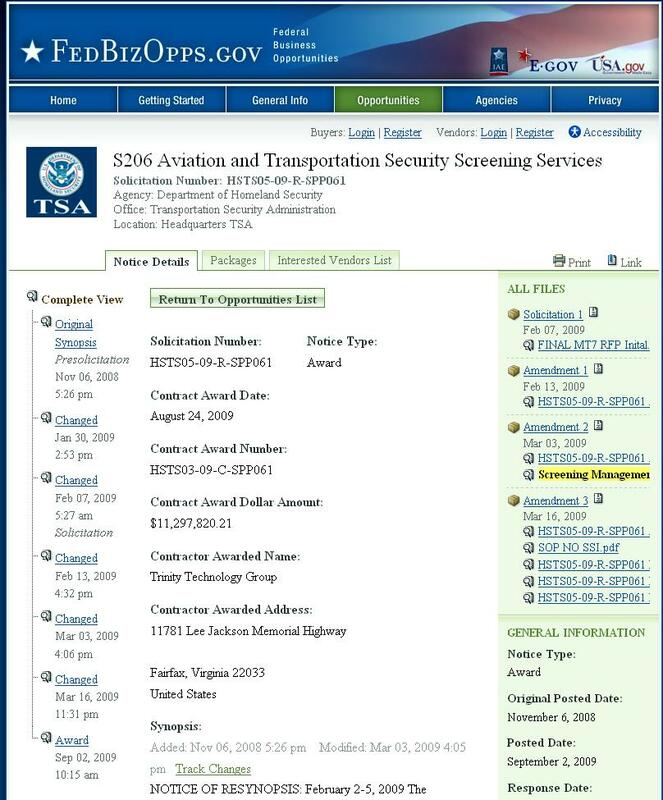 As part of its response, the TSA replaced the document on the government procurement Web site with a more secure version. 17 December 2009. 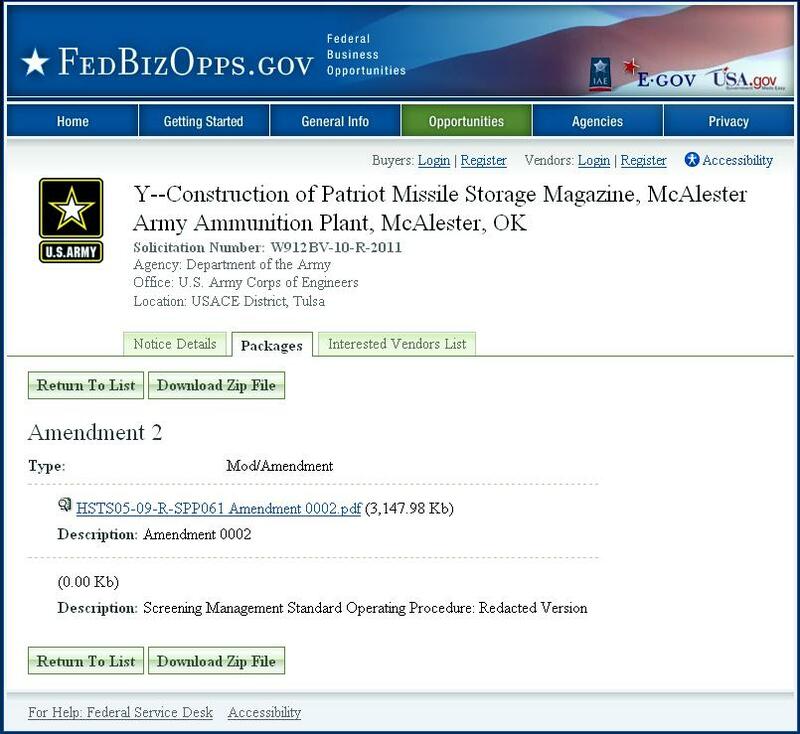 The Zipped file has had the screening document removed. See the mirror below for original Zipped file. 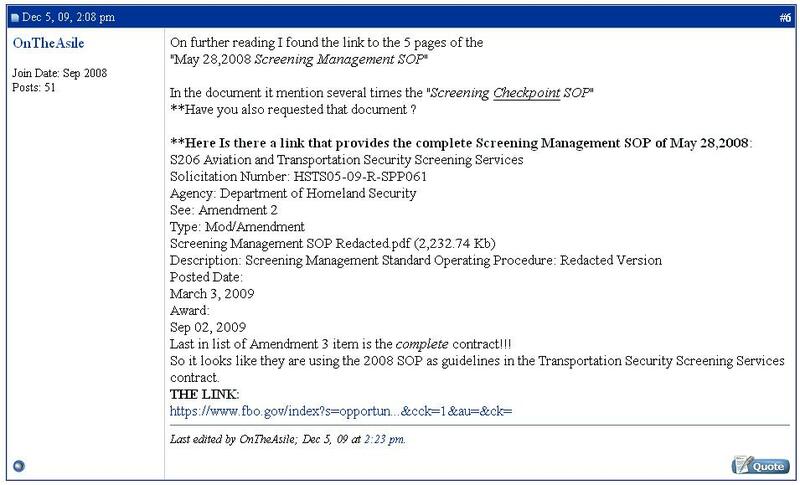 While the Screening Management SOP has been unlinked, showing 0.00 Kb file size, clicking on the button "Download Zip File" brings in a Zip file containing the poorly redacted file which TSA claimed to the Washington Post had been replaced. While there are no amendments shown for this solicitation, clicking on the "Packages" button produces a list of documents for the Screening procurement, the same Screening solicitation Amendment 2 presented above. 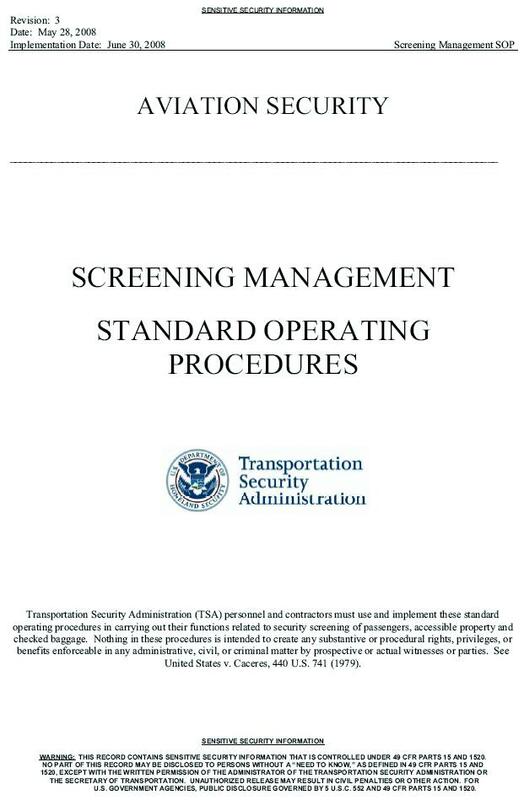 It may be that TSA has relocated the Screening solicitation to some other FBO location with a "secure version" of the Screening SOP. Even so, the insecure version remains available on the FBO site.